Kenneth Fanning smiles after leaving the Mission of Mercy dental clinic in August. “Everybody thinks of [dental coverage] as this extra add-on thing,” says Gary Harbison, executive director of the Missouri Coalition for Oral Health. But, says Harbison, it doesn’t work out that way. The number of patients visiting an emergency department for dental care has surged in the county, as it has here in Missouri. In 2013, for example, the Missouri Department of Health and Senior Services estimated Missourians visited emergency departments 57,641 times for dental complaints, totally $17.5 million in charges. “Receiving regular preventive care from dentists is the most effective way to avoid [emergency department] visits for dental problems,” the report states. 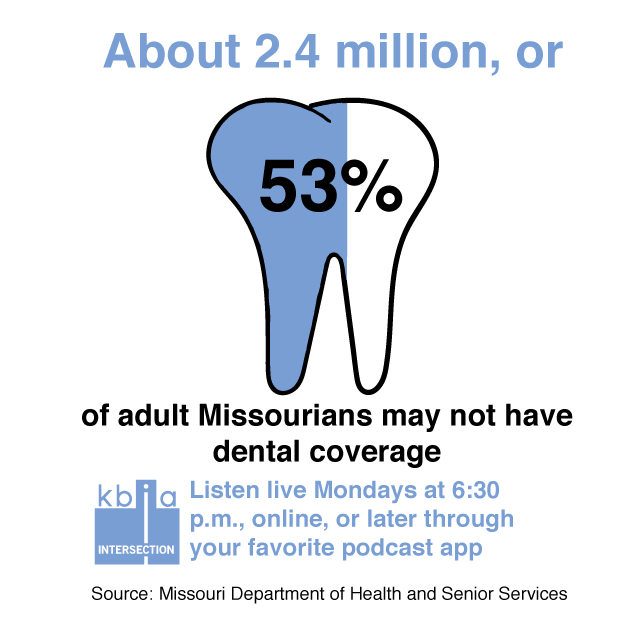 But by one estimate, as many as 2.4 million Missouri adults could be without dental coverage – making that preventative care challenging to obtain. 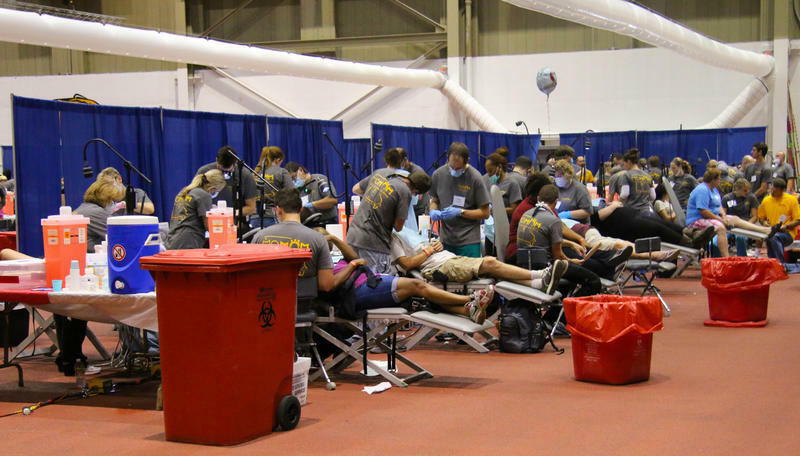 The Missouri Mission of Mercy is an annual charity dental clinic held in the state. 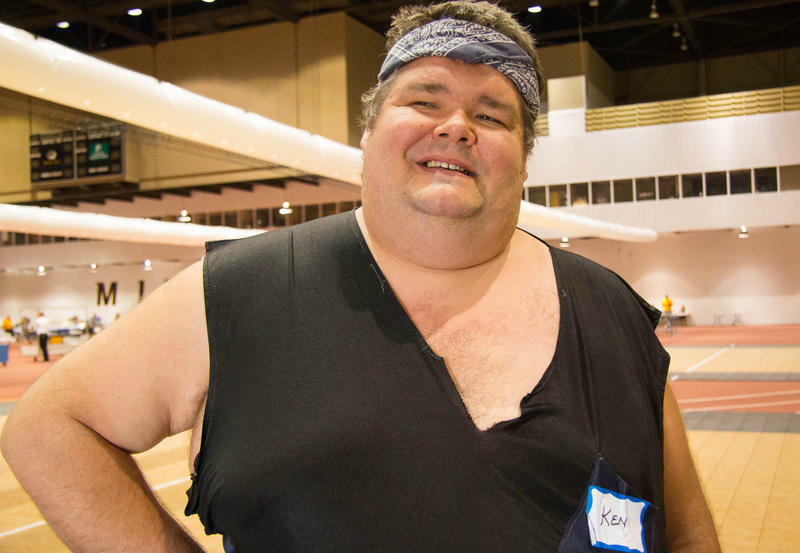 KBIA visited the 2015 clinic held July 31-August 1 at the Hearnes Center in Columbia. There, more than 1,000 volunteers helped to provide 1,334 cleanings, 910 fillings and 2,286 tooth extractions to 1,723 patients. All of it free of charge. Treating that many people in that amount of time meant a lot of waiting in line for patients. Donnie Jacobs and Michelle Edder, for example, waited in line for more than four hours just to get inside the building. That does not included the time it took to fill out paperwork and have their actual procedures done – both believed they had cavities. “It’s kind of discouraging seeing this long line,” Jacobs said when he first arrived at 5 a.m. the first morning of the clinic. It was still dark outside with crickets chirping and a blue moon overhead. Without dental insurance, charity dental clinics like this one are the only options for Jacobs and Edder, so they stuck out the wait. This is the dental coverage gap the Medicaid dental benefits are helping to close in Missouri. But there is one big caveat to the expansion: it’s only in the budget for 2016, which ends June 30th. When the benefits were announced, Governor Nixon estimated the program wouldn't be up and running until April. That leaves only a 3 month window of coverage. “If there’s no money going forward, we’re kind of left dangling,” Harbison says. It also might not be enough to convince more dentists to provide for Medicaid patients. There is a silver lining, though. Dental benefits did get passed in the State’s Fiscal Year 2015 budget as well, only to be withheld by Governor Nixon due to financial constraints. Haribson is hopeful they will find their way into next year’s budget too.